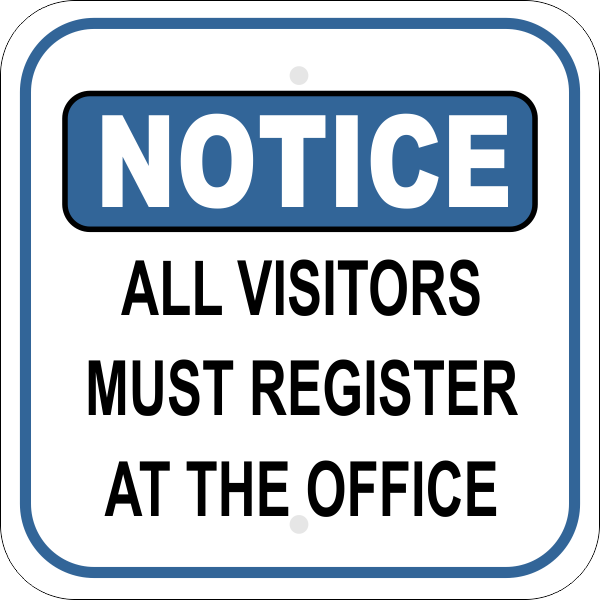 Inform your visitors that they need to register at the office before proceeding to their destination at your facility with this All Visitors Must Register at the Office Notice Sign. Do Not Enter Aluminum Sign | 18" x 12"
Do Not Enter Aluminum Sign | 12" x 12"
Shield your residential property with this brand-new NOTICE ALL VISITORS MUST REGISTER AT OFFICE light weight aluminum notice sign. Beneficial and needed, this sign guarantees your neighbors are knowing of the rules . made from the highest quality components we can find, and is custom made constructed for you in our United States processing facility. You will discover that your sign is built to last. Readily available in 3 sizes to accommodate your needs, this sign also comes with 2 pre drilled openings for easy hanging. Great for businesses , this sign is guaranteed to suit your needs. Our skilled customer support team is standing by to answer any inquiries you may have and help you with your order. Get yours today!